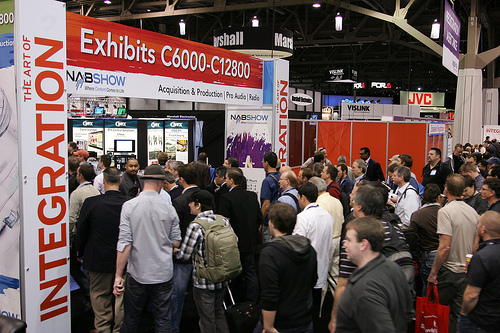 We can’t wait to meet many of you in person at next week’s 2012 NAB Show in Las Vegas, where Brightcove is exhibiting in booth SL10505. Our demonstrations will show Video Cloud’s abilities to help media publishers manage, deliver, and monetize online video content across a broad spectrum of smartphones, tablets, PCs, and connected TVs. The video below puts it all into context, showing how Brightcove empowers media companies to drive more business value for their content through expanded reach, monetization and analytics, and great viewer experiences. If you’ve already scheduled some time to get together, we’re looking forward to all that we’ll have to show you and talk about. If you haven’t, feel free to drop us a note at nab@brightcove.com to book an appointment. Or, simply drop by during the show and we’ll be glad to give you a firsthand look at our latest Video Cloud media solutions and discuss how Brightcove can work with you to build your online video initiatives. Whether you’re among the nearly 100,000 people attending NAB or watching online from home, Brightcove has you covered. Can’t make it to NAB? We’ll still have you covered. Brightcove is working with NAB to bring you NAB Show Live on NABShow.com, featuring daily live updates and on-demand highlights of NAB Super Sessions, panels, exhibits, and more. Also, be sure to follow @Brightcove on Twitter and the Brightcove Blog for our latest news and developments from Las Vegas.